GR: We have heard that you are very fond of Oatmeal Cookies, travelling and Hawaii. What description actually fits you in real life? 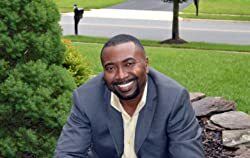 NC: I graduated with a bachelor’s degree in physiology and neurobiology, and later pursued a doctoral degree in the field of chiropractic medicine. I always wanted to write, and finally embraced my lifelong passion for the craft. Thank goodness I’m a driven, ambitious person, because I intend to write novels for a long, long time. GR: A little birdie told us that you have published various business related articles earlier. But then, how does it feel to be a published author/writer of fiction? What are your preferred genres? NC: I recently received a copy of my debut novel, When the Serpent Bites. Holding my first novel in my hands left me feeling radiant and triumphant. Writing a novel takes energy and effort. Writing a novel readers love takes dedication, on top of energy and effort. My preferred genres are: Psychological thrillers, Crime, and any novels that offer suspense. My novel is classified as psychological suspense, and it was the best way to explore these characters and what makes them say and do what they do, especially Frederick Starks. I’ll have to say that my high point was the completion of my novel and all the rave reviews that When The Serpent Bites is receiving. The low point is probably the laborious work it took to write the novel. I enjoy writing, but the issue for me was finding the time to write. NC: I do most of my writing in my home office. Like Starks, the protagonist in When the Serpent Bites, I like my environment to be tidy. My writing space has to meet this requirement before I can actually start to write. NC: Frederick Starks is closest to my heart because he’s the first protagonist I have ever created. He’s a complex character, just as we all are. Readers perceive him one way when they start reading the book, but the farther into the story they go, the more they have to adjust their opinion of him. Starks takes readers on an emotional ride, both through his internal ponderings and how he deals with the situations he finds himself in—or puts himself in. NC: My editor says I have a natural talent for storytelling and plot development, and I do see this as a strength that works for me. As a matter of fact, I have several unwritten novels in my head as we speak. I can come up with a full story in a matter of minutes and get a sense of my characters and how their stories should unfold. And, I love to lead my readers one way and then throw in some twists that keep them turning pages. The discipline to create an outline for this first novel was definitely a weakness. I resisted creating an outline because I didn’t want to be restricted to a specific format. I’ve changed my tune about that with the book I’m writing now. Having an outline didn’t impede my creativity, as I thought it would; it nurtured it. Another matter was—and sometimes still is—trying to stick with a consistent writing schedule. I have a chaotic schedule since I currently practice as a full-time chiropractic doctor. At first I wanted to write early in the mornings, but instead, found I had to write during breaks, late at night, or whenever time permitted. And though I prefer to write in my home office, I had to learn to be more spontaneous and to make better use of my time. GR: Describe your latest book. We know, for sure, the story deals with issues when love goes dangerously wrong. We are sure, our readers would love to grab a copy. Where can we buy it? NC: When the Serpent Bites is a book about the complexity of human emotions and the fact we are all prone to poor judgment at times because of this. Frederick Starks is a privileged man, a proud man, wealthy in many ways, poor in others. His wife’s affair and other marital issues cause them to separate. No longer is he able to go home to his three young children every night, to kiss their foreheads as they sleep. Being forced out of their daily life is a wound with no cure, one that festers inside him. Starks is used to being in control, to winning. He can’t move forward in his life unless he confronts the man who destroyed his family. What was meant to be an exchange of words rapidly takes a turn for the worst. Starks soon finds himself in a maximum security prison, stripped of everything dear to him and all that he’s always relied on. Two imperative questions he faces demand an answer: Will he allow others to control, use, and abuse him? And, what will he have to do or become in order to survive? Personally, I find this story realistic. We’ve all found ourselves in less than desirable situations where our emotions led us to make an irrational decision, especially in matters of the heart. The beginning of this book explores this. The title of the book speaks volumes: In life we can find serpents around any corner, waiting to strike. Where additional complexity comes in is through the question, Do we see ourselves as clearly as we see others? What causes anyone to become cold-hearted or manipulative, to abandon the value of human life—and love? For some this is a result of the environment they were raised in. For some it’s a form of adaptation, or stems from betrayal by others, especially those they trust. There are many causes. This is the core of this book, and is explored through internal, external, interpersonal, and antagonistic conflict and resolution—some of those resolutions returning us to where we started: the poor judgments we sometimes make. When the Serpent Bites is an emotional roller coaster. Take the ride with Starks on his journey through twists and trials. Witness the choices he makes, and why, and where each decision leads him. 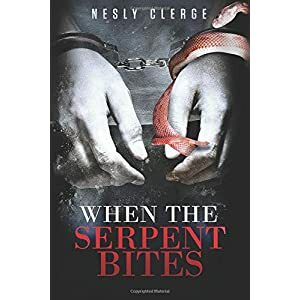 If you appreciate well developed characters, an engaging story that keeps you turning pages into the night, you’ll be glad you read When the Serpent Bites. But don’t be surprised if the characters and the story stay with you long after you read the last sentence. NC: My answer is probably somewhat different than you expect. What inspired me to write When the Serpent Bites is the dynamics involved in failed relationships—most people have been bitten by at least one of these, so most people can relate to the topic. While there are exceptions, nowadays many relationships are plagued by infidelity, pride, and secrecy. I wanted to explore these in an indirect way. The story is layered with a fast-paced cadence, bold references, gritty writing, suspenseful events, twists, turns, jabs, hooks, and other formulations that kept the narrative engaging. However, if we look deep enough, it’s really a story about what can happen when love goes wrong—dangerously wrong—and the people involved make poor choices, just as some people do in real life. NC: When I’m not working or writing, I enjoy spending time with my significant other and my sons, playing chess, traveling, reading, and interacting with readers and authors on Goodreads. My spare time is limited, but I make the most out of the time that I have. NC: I’m working on the sequel to When the Serpent Bites. I want to avoid spoilers, but I will say that what happens to Starks in this book is going to lead him where even he never expected to go. That’s all I want to say about that at this time. NC: I recently read The Scorpion by John Autero. It’s a great book with an intriguing story. And let me also say that it is well-written. If I had to rewrite it, I’d change the ending. Some readers prefer happy endings in every book, but life does not always offer a happy ending. I enjoy books that end with cliffhangers, especially if you’re engaged with the characters and want to know what happens to them after that story ends, unless, of course, it’s the last book in a series or a stand-alone novel. GR: Thank you Nesly for giving us your precious time and doing an interview for us. We wish you the very best for your debut book. That was an interesting chat!!! Nesly Clerge, we were told, had To kill a Mockingbird, Black Boy by Richard Wright, Maximum Ride by James Patterson, as few of his favourite books. By the way, we have reviewed his book When The Serpent Bites. Here is our Review.